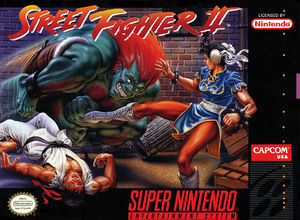 From across the globe comes eight of the wildest fighters the world has ever known in Street Fighter II: The World Warrior . Choose your champion, gather your courage and prepare to battle your opponents in a bare knuckle brawl. Face Ken and his devastation "Dragon Punch"! Watch the temperature rise as Dhalsim incinerates you with his mystical Yoga Flame! Hear your spine crack as Zangief smashes you to the pavement with his spinning pile driver! Cover your ears as Guile breaks the sound barrier with the awesome power of the Sonic Boom! Annihilate your competition and claim the right to test your skills against the bone-crushing power of the Grand Masters! Can you survive? Can Anyone? The graph below charts the compatibility with Street Fighter II: The World Warrior since Dolphin's 2.0 release, listing revisions only where a compatibility change occurred. This page was last edited on 28 December 2017, at 15:16.